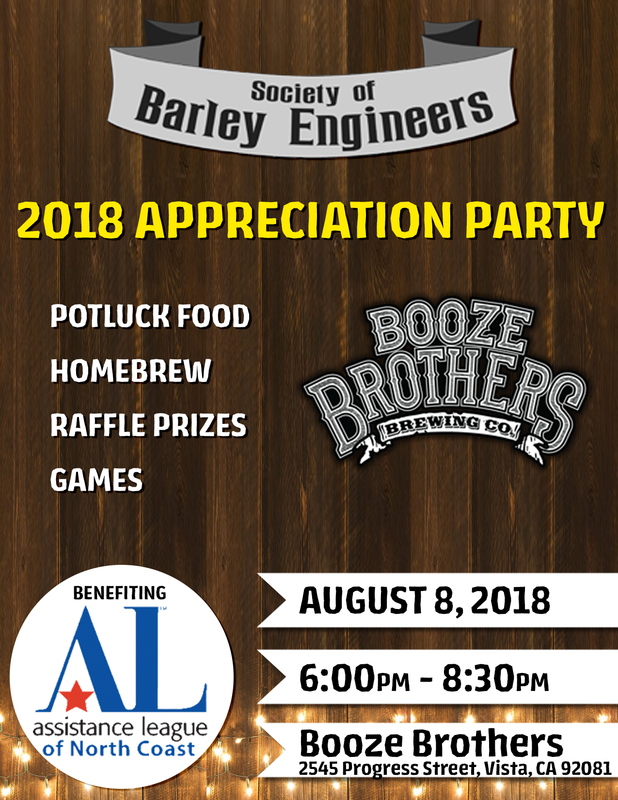 The January meeting of the Society of Barley Engineers will be held on Wednesday, January 2nd @ 6pm at Booze Brothers Brewery in Vista. 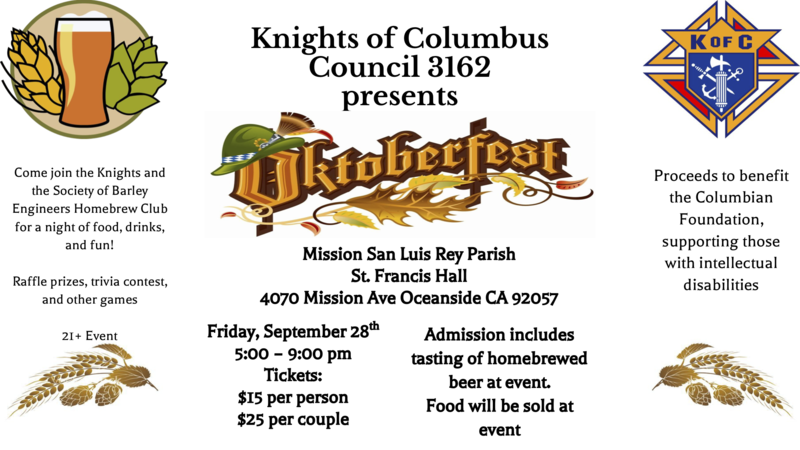 Our feature presentation will be on Resurrecting Beer by Patrick Zukowski. If you haven’t already paid dues for 2019, you can pay electronically or bring to the meeting ($30/member, $40/couple). All members that pay 2019 dues by January 6th will receive a special 25th anniversary T-shirt at the Febrewary meeting.